Tim has more than 25 years’ experience in public relations. Formerly a captain in the Duke of Wellington’s Regiment, Tim established multiple award winning agency Sinclair Mason in 1986 and grew it to be one of the largest integrated corporate marketing communications consultancies in the UK. Major campaigns include BT’s sponsorship of the London 2012 Olympic bid, turning BT Tower “red” for Comic Relief, directing Reebok’s customer relations programme for nearly a decade and working with Neil Armstrong at a major business conference. In 2007 he founded Wolfstar as the UK’s first specialist public relations consultancy, set-up with a commitment to provide dedicated PR, social media and word of mouth marketing. He is responsible for the consultancy’s growth and retains an advisory role with key clients. Marie has over 12 years PR experience gained both in-house and agency side. 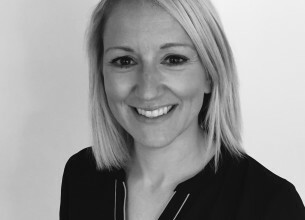 Specialising in delivering consumer PR campaigns, Marie has worked with a number of leading brands including The National Lottery, Virgin Media, Nestle, easyJet, Co-operative Energy, John Cotton, Portmeirion, Hawes & Curtis, Thwaites and the NHS. A seasoned PR professional, Marie is committed to working closely with her clients to ensure that their communications objectives are achieved. She’s adept at forging strong and long-term relationships with both her clients and the media. 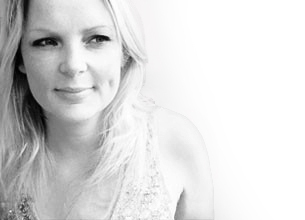 Claire started her career as a journalist and has over nine years PR experience. 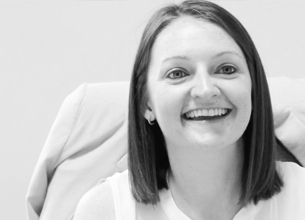 Claire specialises in delivering consumer PR campaigns and has worked with a number of leading national and international brands, including The National Lottery, B&Q, Thwaites, Portmeirion Group, Kukri, Canterbury and World Snooker. Caroline graduated from Bradford College of Art and Design with a degree in Communication Design and has over 14 years experience working as a graphic designer and illustrator. Caroline’s expertise expands through brand design, design for education, CSR and marketing. She has worked across a multitude of media including design for film, web, games, apps and print. Taking projects from concept through to production Caroline has worked for a number of National and International brands bringing their visions to life. 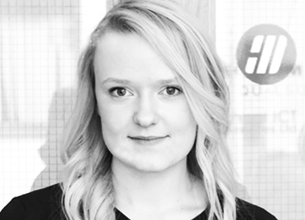 Based in Leeds, she joined Wolfstar in 2014, where her role is to translate great ideas into great communications. 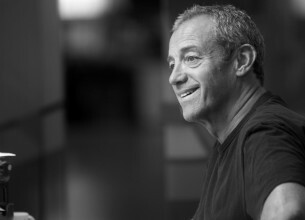 David has more than 15 years professional experience in video production and design. Previous positions include Creative lead for various digital agencies as well as being responsible for setting up new departments within other established agencies. Throughout his career David has worked for a number of fantastic organisations such as Sony, Thermos, Rolls-Royce, Panasonic, Unilever, Husqvarna & Bupa. 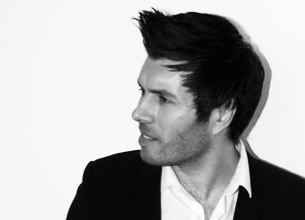 Chris is a PR with Marketing graduate from Leeds Metropolitan University. His previous experience includes PR work for Stickyeyes, Prohibition PR and charity Epilepsy Action, as well as completing a year long placement working in the marketing team of outdoor power tools company Husqvarna. Since joining Wolfstar’s Leeds office, Chris has jumped into a blend of both traditional PR and social media, providing support across a number of accounts. Francesca joined Wolfstar after graduation with a first class BA (hons) in Business and Management from Durham University. Since graduating Francesca has worked at Cosy Cashmere as a Digital Marketing Coordinator, where she ran social media accounts and organised marketing campaigns. 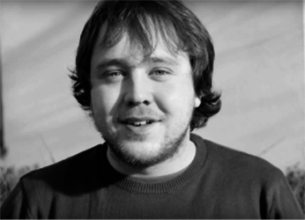 Alex graduated with a BA (Hons) degree in Politics from Newcastle University in 2013. Whilst studying for his MA in Parliamentary Politics at the University of Leeds he worked for Greg Mulholland MP, managing his campaign activity and social media accounts. He joined the Wolfstar team in 2016 and has worked on some of the agency’s longest established clients as well as playing a key role in new business opportunities. Alex’s day to day work sees him engaged in traditional PR and social media strategy, and he is developing a keen interest in influencer marketing on behalf of his clients. In his spare time he can be seen posting pictures of his cooking exploits and the various foodie establishments he visits on Instagram, as well as being continually let down by his favourite sports teams, most notably Newcastle United. 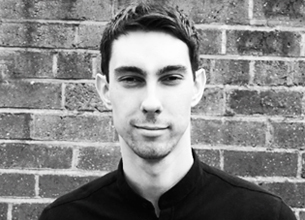 Jonathan joined Wolfstar after graduating with a degree in Graphic Art and Design from Leeds Metropolitan University. With a previous background in physics and computing, he specialises in all aspects of digital design and communication, and has significant experience in website development, online streaming, moving image production and social media analysis. Jonathan has worked on projects for a variety of clients including the organisers of The London International Advertising Awards, The Encephalitis Society, KPMG Nunwood, Unilever and the Husqvarna Group. 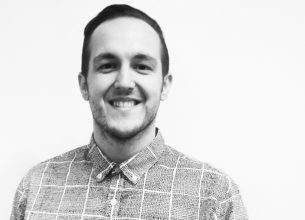 Based in Leeds, Jonathan provides digital and brand research support for numerous accounts. 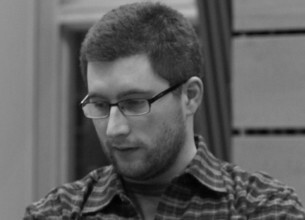 Before joining Wolfstar, Mike was a Senior Software Engineer at Rapita Systems. He received a MEng in Computer Systems and Software Engineering from the University of York in 2006, and has previously worked for EADS (Cassidian) and ETAS. Mike has been integral in developing Wolfstar’s social media toolkit, which enables the company to capture data and measure social campaigns. He also works on a range of projects for our clients, providing support for web and mobile development, along with customised deployments of our social media tools tailored to individual cases.